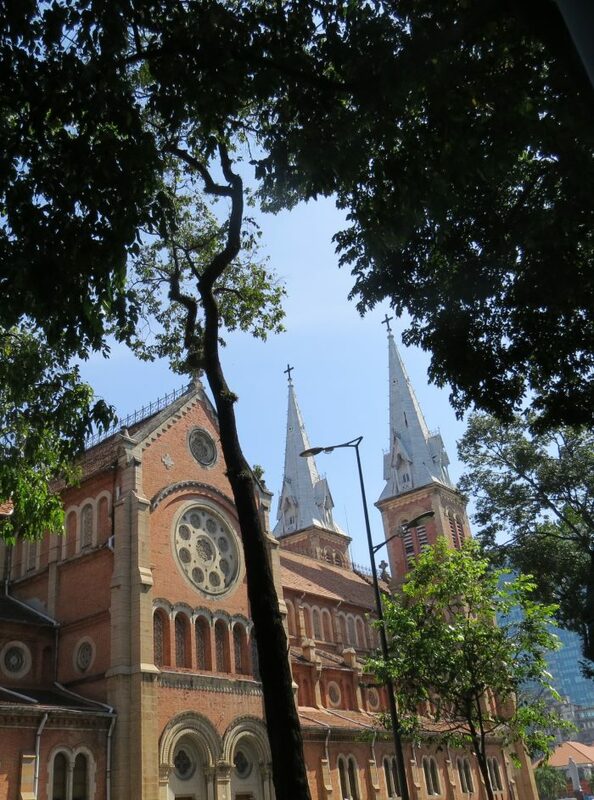 Sunday 1st January 2017 saw me at the English Mass at Notre Dame Cathedral in Ho Chi Minh City, Vietnam. It was a warm sunny day; the cathedral was packed. The mass setting sounded familiar, so I was able to join in following the plasma screens on both sides of the nave. There was a pipe organ in the west gallery…but the accompaniment for the service came from an electronic instrument. I took a taxi out, but walked back to the guest house where I was staying. Traffic is a nightmare…and it takes some courage to cross roads. If there is a highway code…no one seems to take much notice of it, especially drivers of two-wheeled vehicles. Scooters and motorbikes can be seen passing through red lights, travelling in the opposite direction to the flow of traffic…and driving through crowds of pedestrians on the pavement. Scary! The start of the New Year was made even more memorable, when the duty manager at the guest house noted that the flight I had booked to Hoi An…was actually from Hanoi to Ho Chi Minh City… her reaction was brilliant. She found the details of the flight provider and told me that I could change the flight by going to their office. Problem: the office was at the other side of the city and it closed at 6.00 pm. It was already way passed 5.00 pm when the taxi she called arrived. I eventually arrived in time to correct my error…but when I returned to the street, the taxi driver was nowhere to be seen. Without printed details of the unpronounceable name of the guest house…I was in a bit of a pickle. How I solved the dilemma, is material for a story in itself. 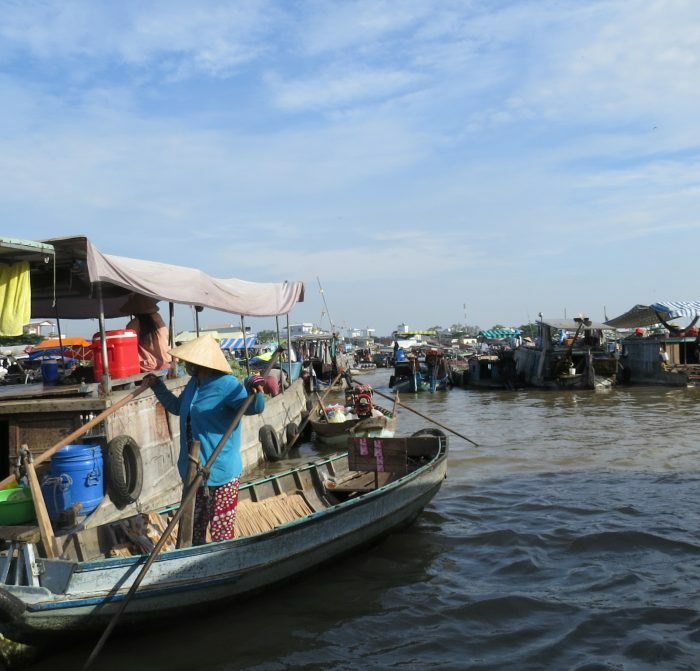 However, I did arrive back safe and sound…then planned a trip to the Mekong Delta. Of the options on offer, the two day trip seemed to be most suitable to fit in to my schedule. It was an amazing excursion that brought me into contact with a lovely bunch of people, with whom I shared some remarkable experiences. 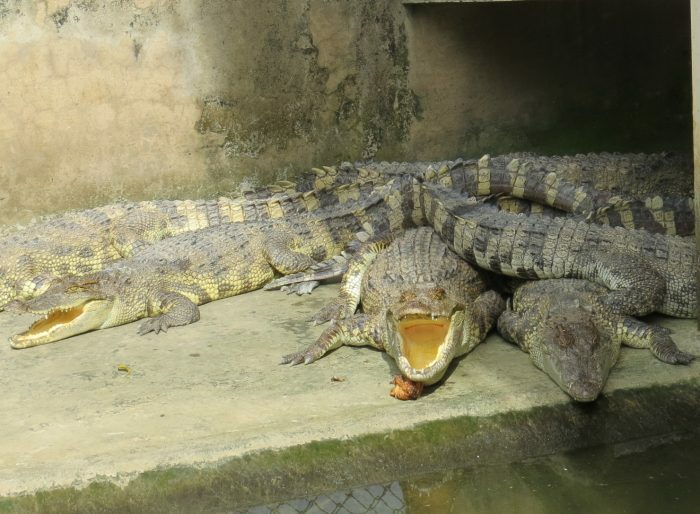 Perhaps the one that stands out most was the dawn visit to the Cai Rang floating market… seeing a pit full of crocodiles at close quarters was definitely the scariest.